3 Year Light and 10 Year Construction Limited Manufacturer warranty. 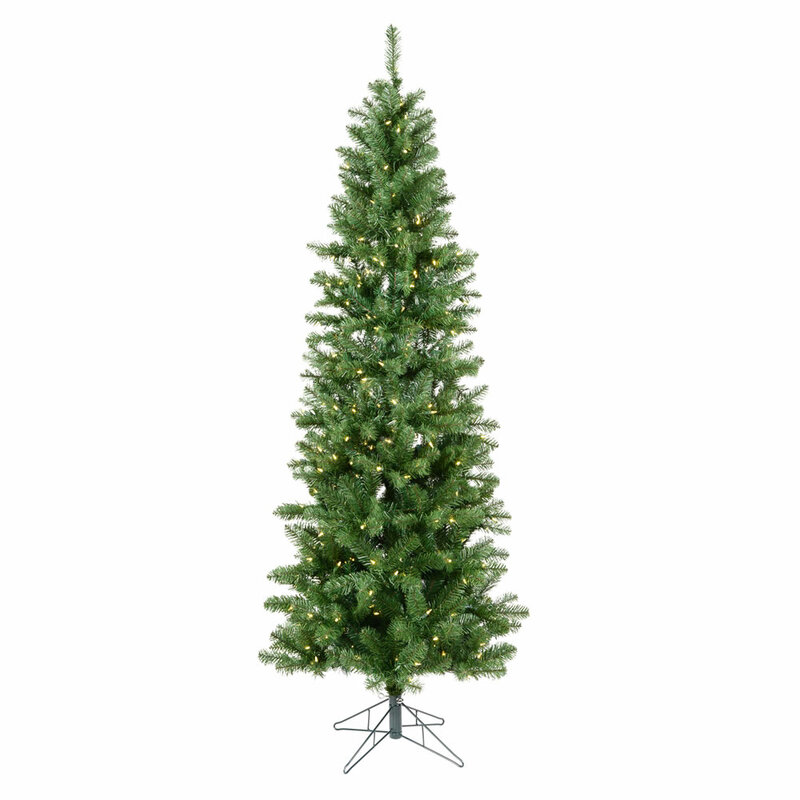 6.5' x 32" prelit Salem Pencil Pine tree featuring 493 PVC tips and 250 Warm White Italian LED lights. Metal tree stand is included. Estimated shipping cost via UPS Ground can be calculated by entering the destination zip code below. This is only an estimate and some large shipments may ship more economically via a LTL carrier or alternative small package carriers. © 2015 Vickerman. All rights reserved.